This Otto® brand embroidered flatbill cap is for the guy willing to go past that place called “FEAR” and step into the cage to fight anyone who comes at him, or the demons that he faces inside his sick twisted mind. 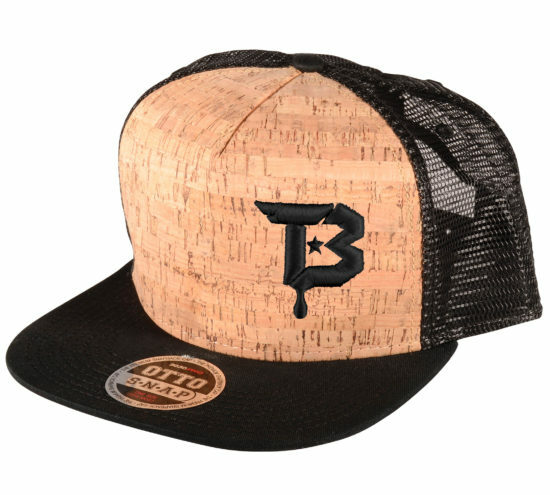 The “TB” icon dawns the front right facing panel and the “Tap or Bleed” brand is positioned on the back for that big statement you have been wanting to make. If you train in the world of MMA and are looking for the hottest gear that will make that statement to your opponent that you mean business, then Tap or Bleed Fightwear has your back. A statement that will make your opponent warm up his hand. Warm it up to TAP! If he don’t TAP, then make him BLEED!